Below are four C++ implementations of the region quadtree (the kind used for image compression, for example). The different implementations were made in an attempt to optimise construction of quadtrees. (For a tutorial on implementing region quadtrees, see Issue 26 [6.39 MB zip] of Dev.Mag). NaiveQuadtree is the straightforward implementation. AreaSumTableQuadtree uses a summed area table to perform fast calculations of the mean and variance of regions in the data grid. AugmentedAreaSumTableQuadtree is the same, except that the area sum table has an extra row and column of zeros to prevents if-then logic that slows it down and makes it tricky to understand. SimpleQuadtree is the same as AugmentedAreaSumTableQuadtree , except that no distinction is made (at a class level) between different node types. The interfaces of all quadtrees are the same, but I did not want to extend from a base class. (Instead, a compile time check is performed on the classes, using boost concepts). Between these four implementations, the NaiveQuadtree is the one I recommend; I left in the other implementations for anyone interested. The one good thing that came from this experiment is that I found out that using a zero-augmented summed area table can increase performance quite a bit. This is useful for max-filters and other algorithms that use these tables. 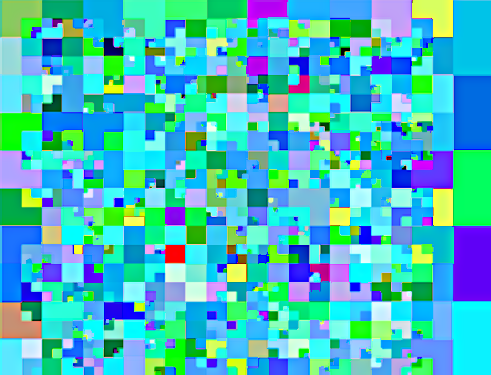 Quadtree.zip (44 KB, Visual Studio). (It requires the boost library for concept checking, but nothing else. Everything will still work if you remove all references to the boost library. If you already have boost, just hook up to the include path in Visual Studio). …or read the online documentation.